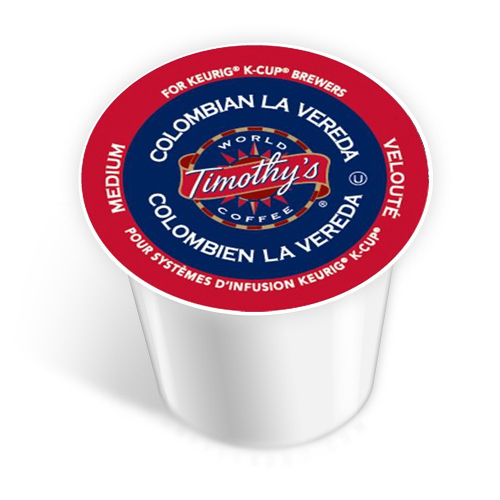 Timothy’s Columbian La Verada Keurig K-Cup is a complex, vivacious coffee that makes a strong impression. A fruity undertone mixed with a hint of cocoa gives this brew a medley of flavours not often found in a medium roast Columbian coffee. … No wonder it tastes so good! I'm a coffee traditionalist, but I also like the novelty of a new take on an established brew, and this coffee excels in both realms - a refreshingly novel approach to my beloved Columbian. © Copyright Single Cup Coffee Reviews. | All rights reserved.